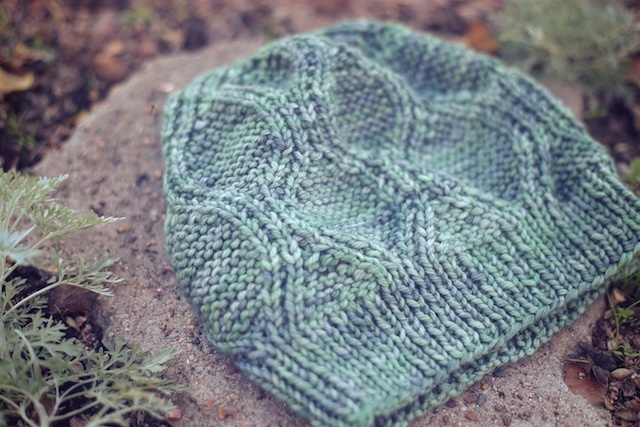 Karite, by Svetlana Volkova, is a hat pattern from Wanderlust. 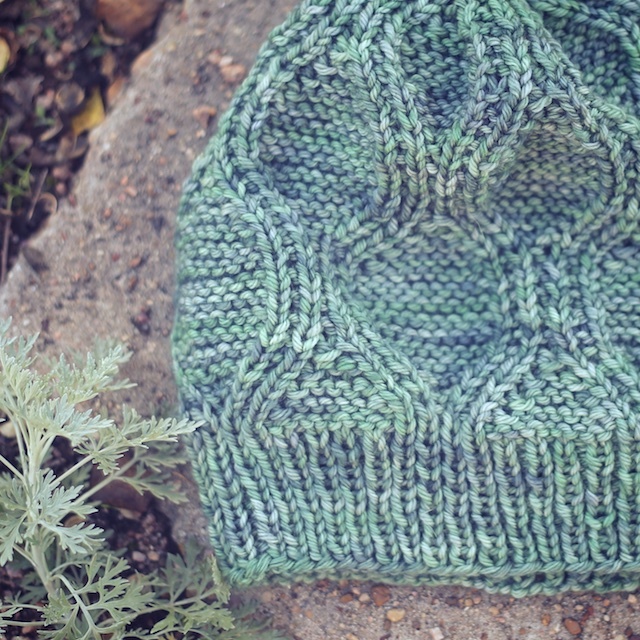 I used a merino worsted from January Yarns in the Olivia colorway and I think it works so well with this design. 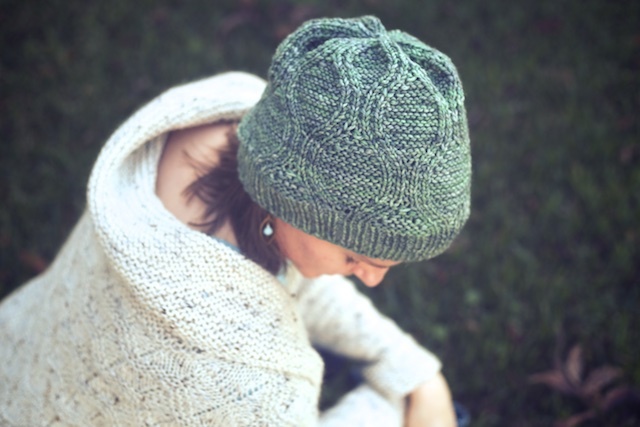 Olivia is really similar to the Out of the Woods colorway I used for my Industry shawl, but I loved it so much I wanted something similar for a winter hat. 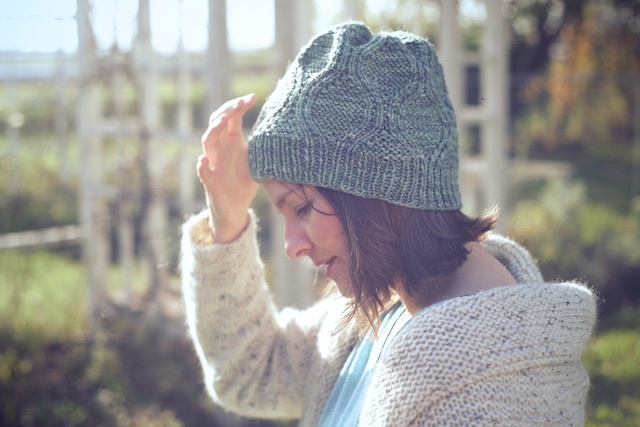 I like that this has a cabled appearance without actually being a cabled hat. It's just different. It's also very graphic, to me. It could easily work for a man or woman. There are some dyers you know especially for their semi-solids. Sarah Anderson is one of those dyers, to me. Her semi-solids are gorgeous. 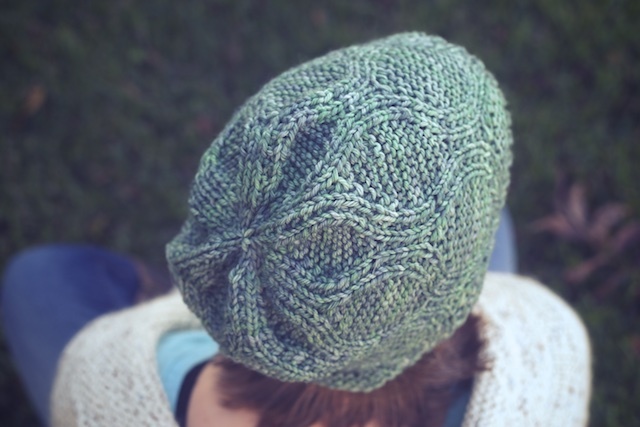 This skein made the perfect relief for a cabled hat: ever-changing but not too busy. 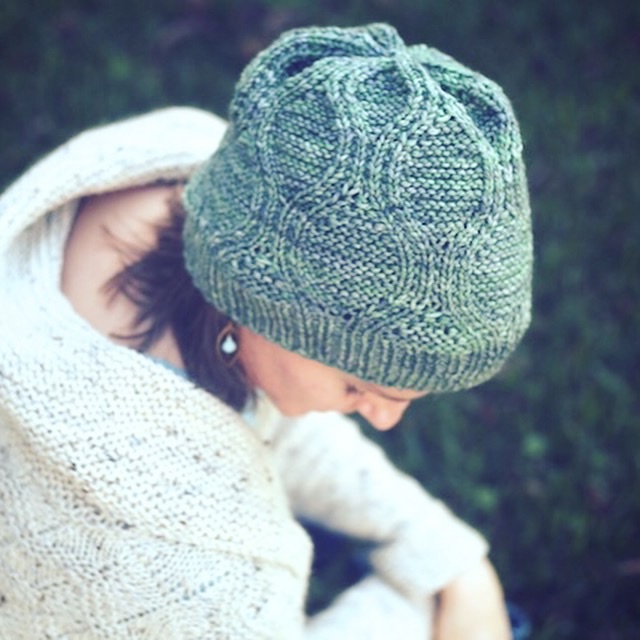 I knit this with her Ravelry group for the November Noggin Knit-along. It's been finished for a week, but I'm only now getting photos up because that's what I do these days. 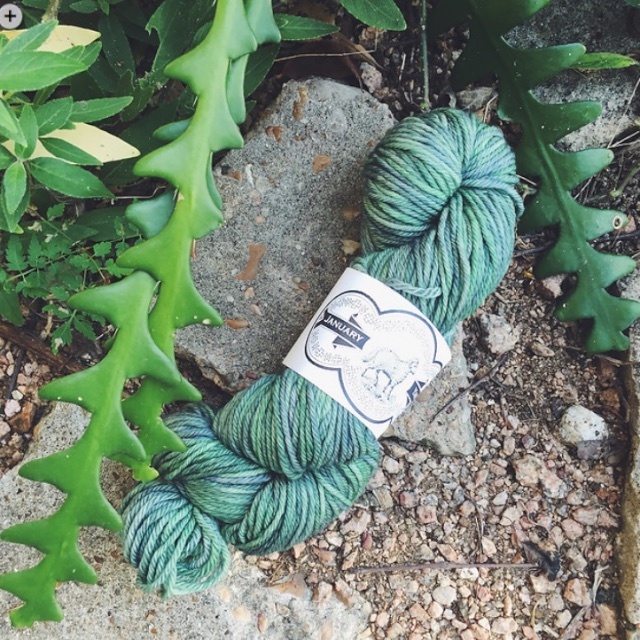 I haven't seen many finished projects from Wanderlust and I'm not sure why. There's so much good stuff in there. My favorites, other than Karite, are the Cowl Neck Raglan, Shifting Cables, and the Quixote Shawl. So, here are the details: I used January Yarns' Merino Worsted, as I mentioned, and size...uh. I don't remember. The pattern called for size 7, so I probably went with size 3s for the ribbing and 5's for the hat, because I usually go down 2 needle sizes. (This is such a vast improvement from knitting everything on size 1s. I owe it all to Karbonz.) I am also not needing to reduce stitches for ribbing as much as I once did, either. I did rate this pattern's difficulty as a medium, because, though there's nothing difficult about it, the instructions had to be followed closely. So, I had to ignore the tv while knitting it. I've got to walk the dog tonight and maybe, just maybe, it'll be cold enough for this hat.